I've been super super busy over the past few months with school and other personal family stuff. I did have a bunch of CC made and ready to upload but then my PC decided it wanted to crash before I got the chance to back everything up. So I lost EVERYTHING. I'm slowly working on remaking everything that I had already made, but since I have a lot going on it's taking me longer than usual. I know a lot of you have been asking where I've been and when I'm going to be uploading CC and taking requests. I promise you, I AM working on things for you guys. So with that being said, lets jump back into things with some walls! 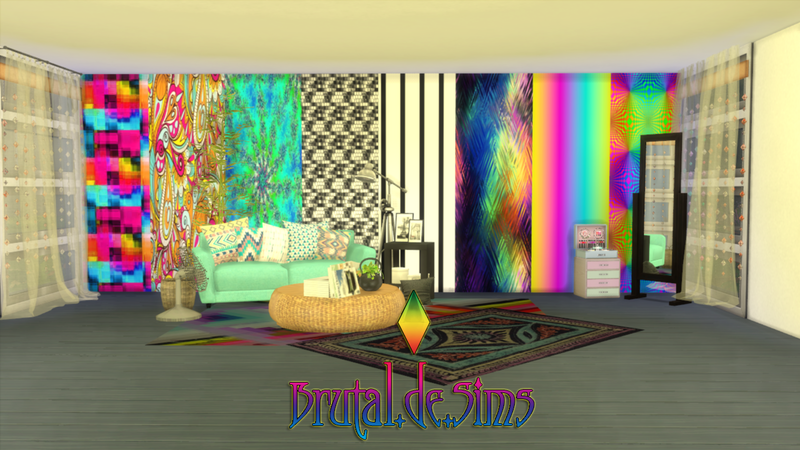 There are 16 different walls in this pack all in the same package made with Sims 4 Studio. The reference photos are all pictures that I found on Google/Pinterest/Tumblr. These are for small, medium and tall walls. All have their own thumbnails.